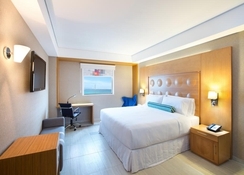 Situated in Cancun's bustling Hotel Zone, the Aloft Cancun Hotel is within a short distance of all local attractions and is minutes away from Playa Caracol, a lovely white-sand beach. Within close proximity of Delphinus Dreams, a Dolphin park on Cancun beach, this venue gives families, couples and solo travellers the chance to swim and mingle with dolphins. 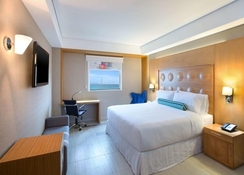 The Aloft Cancun lodging has 177 rooms that are divided into five categories, all furnished in contemporary style and modern amenities for a comfortable stay. With a fine dining restaurant that serves breakfast, lunch and dinner, a bistro, poolside bar and two lounges, this property is adequately equipped to treat its guests with impeccable Mexican charm and warm hospitality. There is also an open-air pool, sauna and steam room for the recreation of guests. 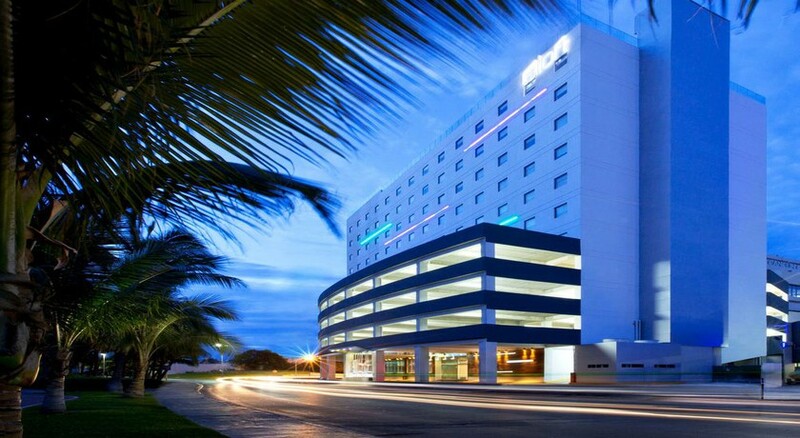 Aloft Cancun Hotel is perfectly located close to the resort's popular tourist attractions. Natural landmarks, excellent dining, shopping and nightlife are all within close proximity to the hotel, including famous Chichen Itza, Tulum Mayan Ruins, Plaza Caracol and famous Coco Bongo Nightclub. The Cancun International Airport is a 25-minute drive away. 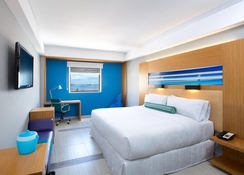 The Aloft Cancun Hotel features 177 guestrooms and suites, which are airy, spacious and brightly coloured to invite guests into a warm ambience. The five categories consist of Partial Lake View Room, Lagoon View Room, Ocean View Room, Lagoon Suite and Ocean Suite. All rooms are equipped with 42-inch flat screen televisions, ergonomic desk chair, cordless telephone, desk, mini bar, tea & coffee making facilities, bottled water, wireless internet access, in-room safe, en suite bathrooms, hair dryer, toiletries. Guests may need to pay for some amenities locally. While there's an abundance of food and drinks options in the surrounding resort, you can indulge in fantastic local and International cuisine just steps from your room, too. The hotel's main restaurant, Nook, serves seasonal cuisine sure to impress for breakfast, lunch and dinner. Re:fuel is the hotel's convenient 24/7 pantry, offering everything from freshly brewed coffee to tasty light bites at all times of day and night. In addition, the W XYZ bar is fab for cocktails and light pub-style snacks. 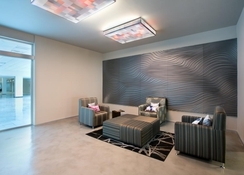 The Aloft hotel has a large rooftop pool and swim-up bar that overlooks the city skyline. There is a well-equipped fitness centre where guests can stay active, plus a sauna and sun terrace. The hotel offers free WiFi. Business travellers can make the most of the hotel's meeting rooms.